The answer is yes and no. I often see people who are reacting to multiple foods. I explain that there is usually one major food like gluten that is creating inflammation in the gut. Because of this inflammation or leaky gut or some other factor we don’t understand yet, we can develop secondary sensitivities to other foods that we eat frequently like blueberries, coconut, or avocado. I have seen these food reactions decrease by avoiding these problem foods and using a gut healing protocol. 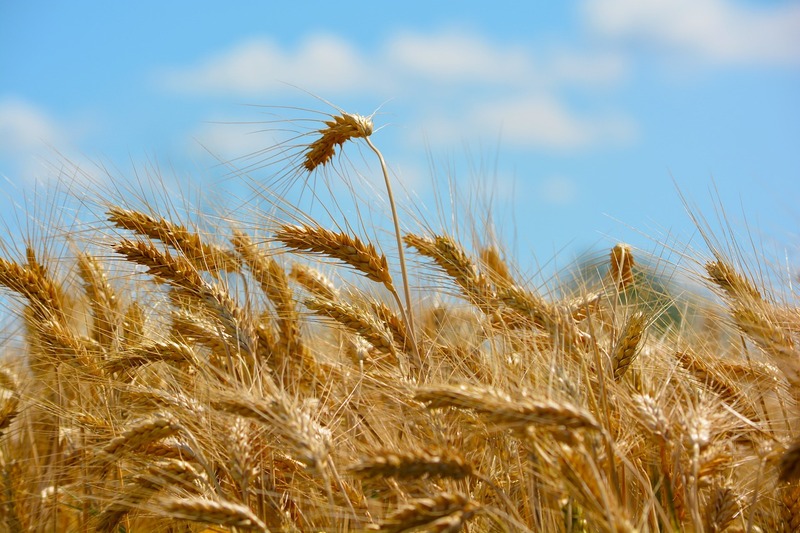 Often, the original culprit like gluten or dairy still needs to be avoided, but the other secondary reaction foods can be added back after an appropriate time. In addition to cutting problem foods out of our diet, we sometimes need to examine the balance of organisms growing in the gut. Inappropriate bacteria and fungi growing in the GI tract can cause conditions such as dysbiosis or SIBO (small intestinal bacterial overgrowth). These issues are often intertwined with food sensitivities and contribute to the inflammation that is fueling our discomfort. Depending on the case, I might use an anti-microbial herbal blend or encourage increased consumption of inflammation fighters like fish oil and turmeric. Inadequate beneficial gut bacteria are often associated with food reactions. Rebuild these populations by taking probiotic supplements or emphasizing fermented foods in the diet. Also include foods that are rich in prebiotics, nutrients that help probiotic organisms thrive. Finally, cut sugar out of the diet. Not only does it increase inflammation, but it can also feed troublesome organisms in the gut. There are numerous ways to improve our digestion. Depending on the person, I might recommend digestive enzymes or bitters. Stress can also wreak havoc on our ability to digest our food, so choose appropriate stress reduction activities unless you are one of those few people who aren’t stressed out. Feed the cells that line the gastrointestinal tract with glutamine powder. As their preferred energy source, glutamine can help these cells replicate and repair themselves. N-acetylglucosamine is also used to rebuild the protective mucus layer of the GI tract. Some probiotics like Lactobacillus rhamnosus GG actually encourage replication of intestinal cells and stimulates the production of this protective mucus layer. I am not saying that this type of plan is either fast or easy, but with some diligence, we can turn around many of our health issues by taking care of our gut. When food reactions, medication, or other gut irritants damage the gastrointestinal tract, we need rebuild the gut as well as get rid of these offending agents. Along with improving the diet, replacing good bacteria, and reducing inflammation, I frequently recommend N-acetylglucosamine to aid in gut repair. N-acetylglucosamine (also known as NAG) is similar to the glucosamine we take for arthritis and joint pain. While NAG might have some of those benefits, it is best know for supporting the body’s creation of a healthy mucus layer in the gut. This normal mucus layer protects our cells from damage by enzymes, acids, bacterial toxins, and more. Additionally, NAG might support the growth of beneficial gut bacterial like Bifidobacterium bifidum. Some interesting studies on multiple sclerosis demonstrate that it may improve immune function as well. While N-acetylgluosamine might benefit anyone who has substantial digestive issues, it looks particularly promising for people suffering from inflammatory bowel disease. People with conditions like Crohn’s Disease and Ulcerative Colitis tend to have much thinner mucus barriers in the gastrointestinal tract. In a recent study, patients with inflammatory bowel disease taking NAG for 1 month had substantial improvement in their symptoms. Specifically, they had less abdominal pain, diarrhea, and mucus passed in the stool. Even though this wasn’t a placebo-controlled study, the results were impressive enough to make NAG an important consideration for these and related disorders. 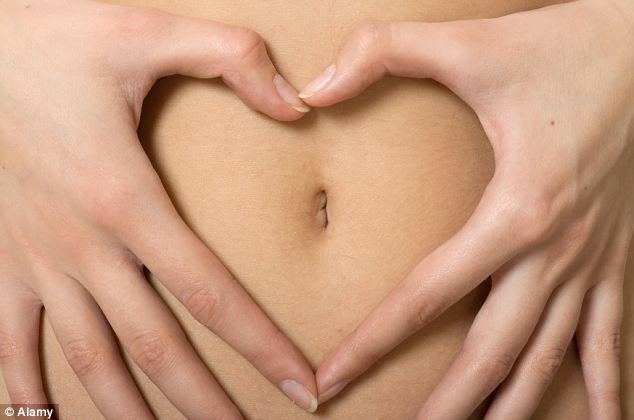 Since your digestion is the root of your health, make sure you have a happy GI tract. And stay tuned for more tips on healthier digestion. P.S. My cat is getting NAG too along with his probiotics. I am not saying that you need to share your probiotics with your cats. But Moonpie, Bois D’arc, and I have been enjoying this morning ritual, and it had me thinking again about the nature of different probiotics. Here is what I have been doing. When I am feeding the cats in the morning, I sprinkle about ¼ of a capsule of my probiotic on each serving of cat food. Then I dump the rest of the contents of the capsule into my mouth. 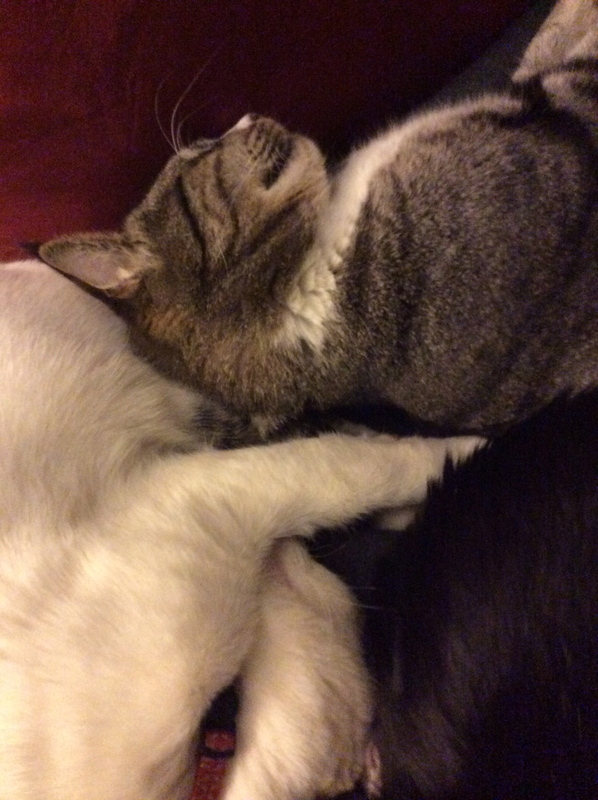 Most probiotics are very mild tasting so the cats and I don’t mind the flavor at all. A few probiotic brands add fruit, vegetable, or herbal extracts, which can make the taste sour or bitter, so I can’t say the same about every brand. Probiotics are beneficial bacteria that can help with gastrointestinal symptoms, immune function, detoxification, and maybe even healthy weight loss. Moonpie had to take a round of antibiotics recently, and I always follow antibiotics with at least 2 weeks of probiotics to help restore the normal balance of gut bacteria. The particular brand I am using right now is Culturelle. It contains a single strain of probiotic known as Lactobacillus rhamnosus GG. There are a few unique things about this strain. It is resistant to stomach acid. That is why I am not worried about dumping the contents of the capsule straight in my mouth. For conditions like sinus issues or heartburn, you might get more benefit from the probiotics by putting the powder in your mouth. For instance with heartburn, some studies show that the wrong organisms are living in the esophagus. We are not sure if this is a cause of the problem or a consequence of the symptoms, but probiotics seems to be a helpful part of the solution for many. I have my patients with heartburn take their probiotics this way so the organisms are getting to the esophagus and stomach. At other times when I am taking strains that are not resistant to stomach acid, I look for products that are enteric coated. This means the capsules are designed to release only after they past the stomach. With this type of capsules, our stomach acid doesn’t destroy other important organisms, like Bifidobacteria for the large intestines. Another unique thing about Lactobacillus GG is that organism grows particularly robustly in our upper GI tract when we are taking it regularly. This gives it the potential to outcompete harmful microorganisms, particularly in the small intestines and stomach. Because of this, I would particularly choose a product like this for travelling abroad. When we stop taking Lactobacillus GG, this protective barrier might start to disappear. This is a good time to make sure you are replacing them with other healthy bacteria so the bad guys don’t have a chance. Choose probiotic rich foods like yogurt, kefir, kombucha, sauerkraut, and kim chi. Add to this some prebiotic foods to help feed the beneficial organisms. Prebiotics are found in foods like garlic, beans, carrots, onions, honey, rye, asparagus, banana, maple syrup, oats, and Jerusalem artichoke. We don’t have to take probiotics all the time, nor do our cats. But since these beneficial organisms boost our health in so many different ways, it is important to make sure we are maintaining a helpful population of gut bacteria. Once the body is in balance, you can emphasize the probiotic and prebiotic rich foods in your diet. P.S. 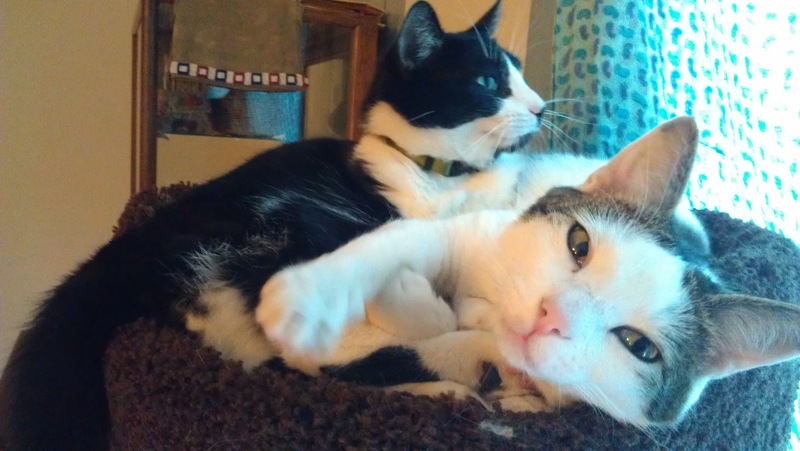 No, I am not just writing about my cats because cats rule the Internet. If stress is at all a significant issue in your life, ashwagandha is an herb you should consider trying. We all know the negative effects stress can have on our lives. Not only do we feel stressed and tense, but long-term stress also contributes to the development of many common chronic diseases, such as depression, high blood pressure, cardiac diseases and metabolic disorders. There are many herbs that help combat the negative consequences of stress, but ashwagandha stands out from the crowd because of its mood and memory benefits. I have been taking ashwagandha for less than a month now and am already noticing its benefits. I still have a ton of work on my plate, especially since in the garden at this time of year, but I feel a little calmer and less overwhelmed by it all. Many people note a greater sense of well-being from taking ashwagandha. 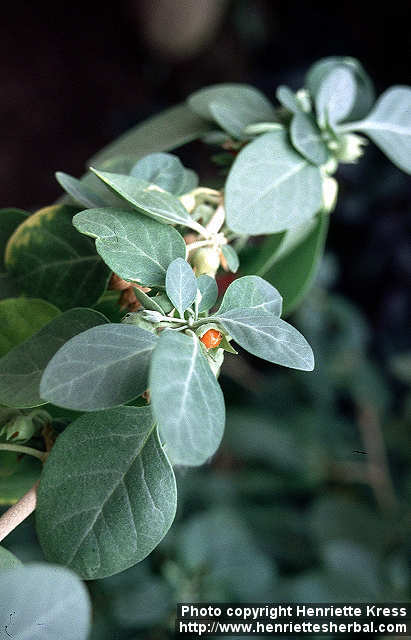 Ashwagandha also stands out as a memory herb. Some people even categorize it as a nootropic herb, meaning it improves cognitive performance and memory. Part of this benefit is from stress reduction. Long-term stress actually causes shrinking of some of the memory centers of the brain, like the hippocampus. But clearly, ashwagandha is doing more that just preventing this damage because cognitive improvements were seen in as little as 2 weeks in one study. In a comparison study between ginseng and ashwagandha, the participants taking ashwagandha showed improvements in mental abilities while the ginseng group didn’t. So though ginseng might be another great herb for stress, it lacks ashwagandha’s full brain benefits. Ashwagandha might also be one of our key herbs for preventing dementia, particularly Alzheimer’s disease. In studies done with mice, ashwagandha contributed to improvements in cognitive abilities and cellular markers in the brain. Ashwagandha is loaded with brain protecting antioxidants and may even help with the regeneration of nerve networks in the brain. So try ashwagandha, and see if you feel it deserves its ancient reputation as a rejuvenating herb. Go outside and see if you can feel spring in the air. I was outside the other evening shortly before dark and was amazed at the subtle changes I could notice that helped let me know it was really spring. And along with this, I felt a sense of hope and renewal. I believe that engaging our senses and connecting with nature can have profound benefits for our wellbeing. With all of the stress and toxins in our lives, a good breath of fresh spring air can be the little thing that helps keep us going. So step out into the spring air and see how many changes you can notice. I tried to notice what all of my senses were telling me. I noticed the light, brighter than it has been, and the color of the clouds in the distance. I saw the bright emerald green color of the grass starting to grow after winter’s cold. I smelled the air. It had rained recently, and there was slight sharp smell in the air that I associate with damp earth and leaves. I could also feel a hint of the moisture in the air from the recent rain. There was a light breeze mixing a little cool air with the warmth left from the sun that day. 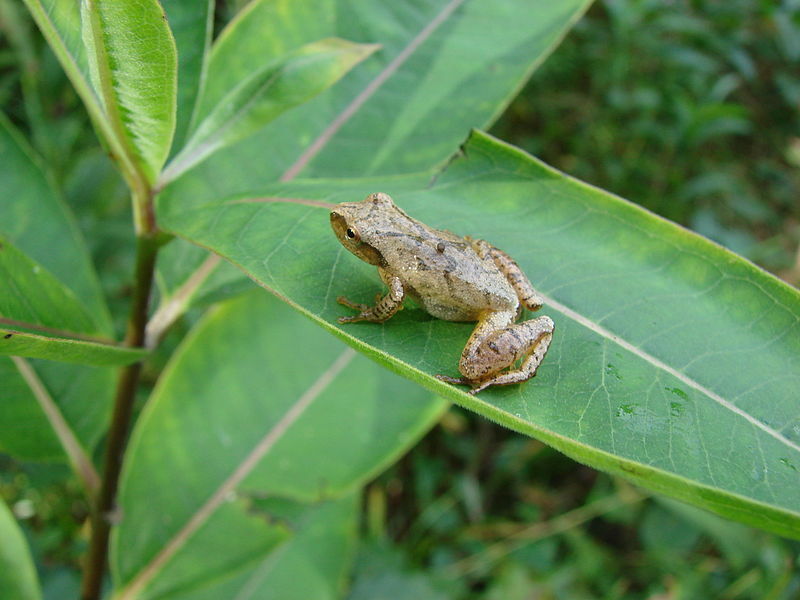 My ears were delighted to hear the song of spring peepers, a small frog that starts calling at this time of year. It seemed like the birdsong was also different. Maybe the birds are changing their tune to attract mates. Speaking of birds, I was amazed to see a male cardinal trying to impress a female by hopping back and forth over her three times where she was perched on my garden fence. I got to taste spring also. 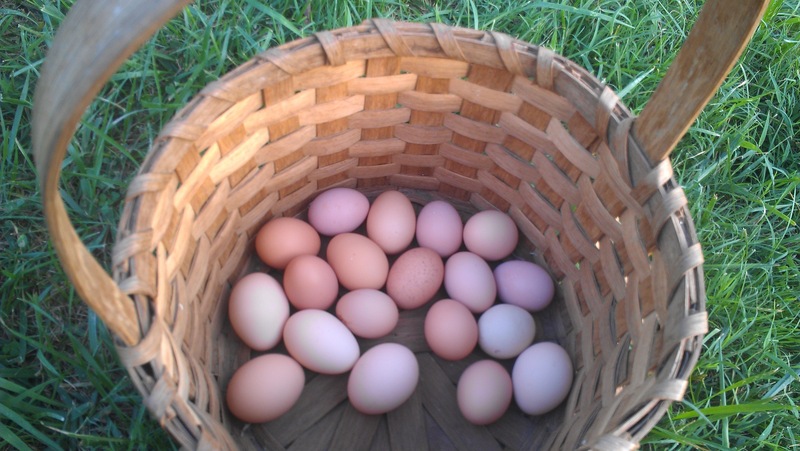 To honor the first day of spring, we harvested some of our first crops from our garden. All of these spring sensations lifted up my mood. And I felt calm from taking a minute to enjoy the season and pay attention to the world around me. I have often noticed that spring has this effect on me. I have even lived in places like New Orleans and Seattle that don’t really have four seasons. I missed the transition from winter to spring and the positive effect it can have on my mood. So step outside and see what spring has to say to you. It will likely be different sensations and emotions that I felt, but hopefully it will remind you that you are alive and connected to so much more around you. P.S. I know for some of us spring in the air also means troublesome pollen. To help you enjoy springtime more, try some of my favorite herbs for allergy season like nettles. Butterbur is another great choice for allergy season that performed as well as one popular allergy medication in a comparison study. Don’t be afraid to include some high fat foods in your diet for better health. Back in the 1980s, fat became the villain that we needed to avoid for heart health and weight loss. Unfortunately, most low fat products ended up being high in sugar or strange artificial ingredients that might do us more harm than the original fat. We also didn’t understand the health benefits we could gain from good fats such as the anti-inflammatory Omega-3 fats from fish or flax. The concern about eating fats is that they are more calorie dense than proteins and carbohydrates. From this viewpoint, cutting out fat cuts down on calories and watching calories can help us maintain a healthy weight. But eating foods that have fat in them may help us feel more full and satisfied, which can help us avoid excess snacking. While if we ate a low fat product that was high in sugar, the possible blood sugar and energy crash later could make us want to eat more. What are the possible health benefits of having healthy fat sources in your diet? Healthy fats can be important for our brain health. I think of the brain as being a complex series of “wires” that conduct electrical impulse. The insulation that surrounds those “wires” is made from fat, therefore our brains need fats to function properly. Certain fats can also be important fuels for our brain cells. Choosing healthy fats, particularly sources of Omega-3 fatty acids, can reduce inflammation in the body and even protect us from heart disease. Some traditions recommend higher fat consumption to help with allergy and sinus issues. This is possibly related to inflammation reduction and/or adequate moisturization of the sinus passages. Likewise, healthy fats can be vital for healthy skin. I also look for adequate fat intake when trying to find underlying causes of constipation. Sufficient water, fiber and fat consumption can be important for proper bowel health. Even saturated fats aren’t the offenders we once thought. For years, we were told that saturated fat from meat and dairy products contributed to heart disease. Now even more conservative groups are starting to question this connection, citing a recent study that showed higher saturated fat consumption didn’t mean higher rates of heart disease when looking at large population studies. The unique saturated fats in some oils like coconut oil are even being touted for their particular weight loss and brain health benefits. There is still one type of fat out there that we need to avoid: transfats. These are the artificially made fats that were originally produced to replace butter and other saturated fats. Now, we know that these hydrogenated fats found in shortenings and many processed foods are the worst culprits when it comes to heart health. Surprise, surprise, the unhealthy fats are the artificial ones! Besides avoiding transfats, the most important consideration is picking fat sources that bring a lot of other additional nutrients to the table. Many processed foods that are high in fat are just junk. Think of donuts and other white flour laden deserts. Now, stop thinking about donuts, and chose instead foods like nuts, avocados, eggs, and olive oil. These healthy fats sources are also loaded with vitamins and antioxidants to help protect our health. Finally because high fat foods are calorie dense, we need to watch our serving sizes. 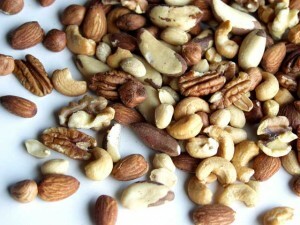 For instance, a serving of nuts is generally ¼ cup, so don’t sit there and eat a whole pound. We are all different so the amount and types of fat we need can vary, but healthy fats are now in the good foods column. So don’t run from these healthy foods due to outdated propaganda. If you find yourself needing to use lots of lotion all the time, you might need to consider moisturizing from within. A current beauty trend is to consume collagen and other nutrients that nourish and hydrate hair and skin. Skin is designed to be a natural barrier that uses oils and other compounds to hold in moisture and protect us from the environment. We also have collagen and other connective tissue molecules that help our skin, hair, and bones maintain their shape and elasticity. To keep hair luxurious and skin looking healthy, start with proper hydration. I find if I drink enough water, I don’t feel like I need lip balm most of the time. Another health trend is to drink bone broth, which provides water along with collagen and minerals to support the hair, skin and bones. Collagen is also available in the form of a supplement. Type I collagen is what is found in hair, skin, and bone health, while type II collagen is available for joint support. One report I heard about collagen that particularly stood out was from a woman who said her skin was clearer after taking a collagen supplements for a month. My friends taking collagen have also noticed thicker, sleeker hair. Finally, collagen is as important as calcium for keeping bones strong. We can also support our body’s ability to make collagen by getting adequate vitamin C and zinc. Another important natural hydration handler in the body is hyaluronic acid, which is found throughout the body. I think of like a microscopic sponges holding water within our tissues including skin, joints, and even eyes. I am mostly referring to the inside of our eyes, but hyaluronic acid may have benefits for dry eye issues as well. One woman told me that the hyaluronic acid I recommended for her skin seems to have helped relieve her dry eye symptoms. Don’t ever forget about increasing your healthy fat consumption when there is a skin issue, such as wintertime dry skin. Incorporate into your diet nuts, avocados, and healthy oils like olive oil. For skin, Omega-3 fatty acids from fish are a great addition, sometimes with added GLA from evening primrose oil. The same approach is useful for dry eyes, which is essentially a dry skin issue for most people. One study noted an initial reduction in dry eye related symptoms in just 12 weeks. So give your body what it needs and be comfortable in your skin. Brighten Your Day with Lemonbalm! Meet lemonbalm. She could be your new best friend especially if you are dealing with a lot of stress. Many of us push ourselves so hard everyday, and this can contribute to mood issues. So we need an herbal best friend to bring a little sunshine to our days. Lemonbalm is just such a friend. Her bright lemon taste sums up her personality. Lemonbalm can work to both lift low spirits and help calm us when the stress just gets to be too much. And then when you hear her scientific name, Melissa officinalis, you will definitely want to invite her over for a cup of tea (a cup of lemonbalm tea that is). Her name Melissa means honeybee because bees love lemonbalm so much, and I hope you will too. Lemonbalm can help calm the nerves and is used for anxiety, nervousness, and irritability. Lemonbalm is wonderful for digestive problems and headaches, especially when they are caused by nervousness. Lemonbalm also mildly reduces blood pressure that is elevated due to stress. Some cases of mild insomnia respond well to lemonbalm. Lemonbalm is also a mild anti-depressive, making it a good choice for people who have a mixture of anxiety and depression. Lemonbalm is a nootropic herb meaning it can enhance memory and cognitive functioning. So, lemonbalm is for both brighter mind and brighter mood. I feel that we can get more out of our herbs when we taste them. We learn more about their nature than if we are taking capsules of herbs. Try lemonbalm and you will see how the flavor really matches her uplifting nature. You can also taste and smell the essential oil in lemonbalm that help ease an upset stomach. You can make a tea out of the dried or fresh leaves. I also like to add a few dropperfuls of lemonbalm tincture to a whole glass of water when I don’t have time to make tea. I prefer the brands like Herb Pharm that use both alcohol and glycerin to make their tinctures because this improves the taste significantly or you can add a few drops of stevia to sweeten it a little. 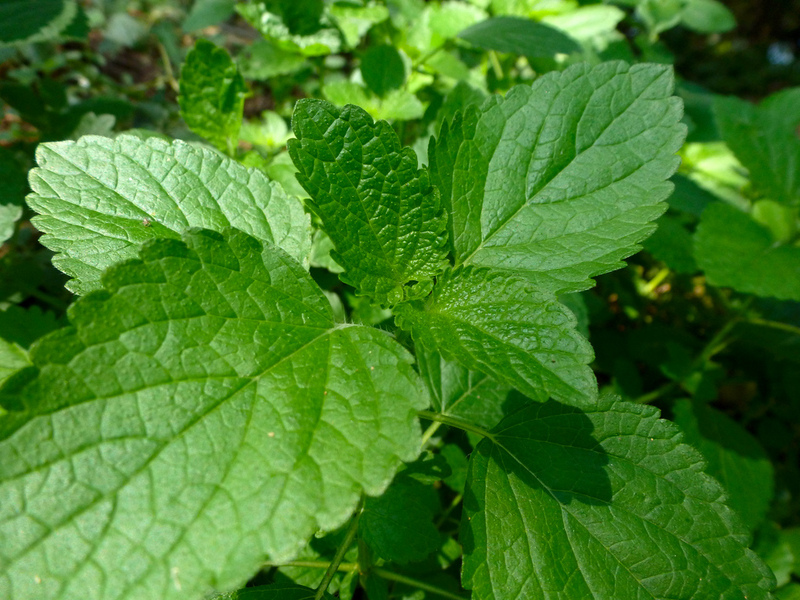 Lemonbalm has such a delicious taste that is often used to improve the flavor of herbal blends. Lemonbalm is a gentle herb that requires either large doses for acute issues or long-term use for optimal results. You can use it either way but since you have just found a new herbal best friend, I bet you are going to want to hang out everyday. Lemonbalm has no side effects except for possibly very rare cases of allergic reaction. Theoretically, lemonbalm could suppress the thyroid, but no cases have been reported of worsening symptoms with hypothyroidism. So try a little lemonbalm, and make your brain and taste buds happy. What is the difference between cacao and cocoa? Theobroma cacao is scientific name of the plant that produces cocoa or cacao beans, and therefore chocolate. Any product made from it could be called cacao. Usually, the term cacao is used to differentiate the raw forms of chocolate, while cocoa mostly refers to the powder made from roasted cocoa beans with the cocoa butter removed. Generally, the more we process a food, the more nutrients are lost. So no matter whether it is called chocolate or cacao, the raw versions of chocolate will have higher antioxidants and nutrients than roasted ones. There are also differences among cocoas. 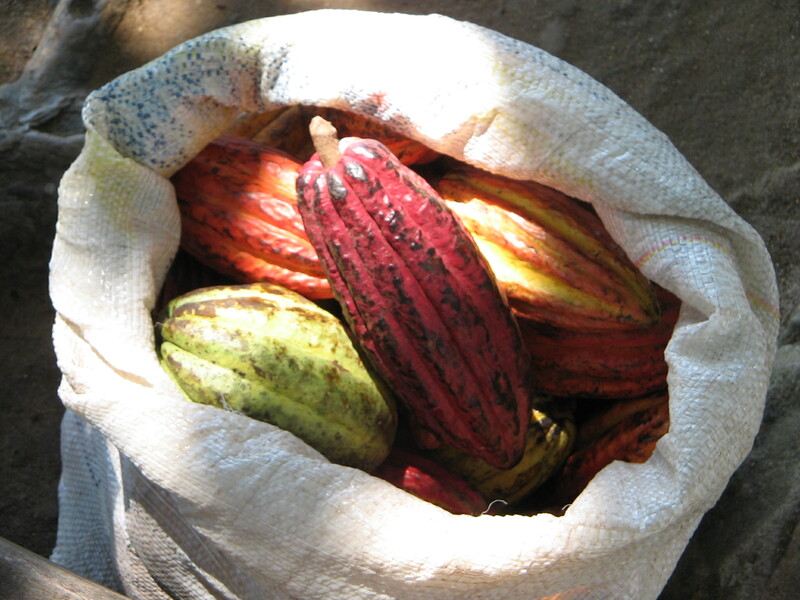 The most common cocoas are Dutch or alkali processed. This process removes many of the brain and heart protective compounds in chocolate. So non-alkalized cocoa is healthier than the Dutch cocoa. There are some differences in the acidity of these different products so if you want to use raw cacao or non-alkalized cocoa in baking, do some reading to find the right approach. This may be as simple as using baking soda instead of baking powder. As long as we are choosing a form of chocolate that still has a lot of the antioxidants intact, chocolate is an enjoyable brain and heart helper. Chocolate can significantly reduce the risk of cardiovascular disease and stroke, as well as drop your blood pressure a few points. Chocolate may improve your lipid profile and lessen inflammation. It is notably a nerve protector, which could help prevent Alzheimer’s disease. Chocolate can also improve digestion by supporting the growth of beneficial gut bacteria. Most of studies were done with cocoa, usually non-alkalized, or chocolate bars that have a high percentage of cacao solids. I don’t know of any that have been done using raw cacao, but we can assume the benefits would be even greater due to the higher percentage of protective antioxidants. Chocolate is also high in minerals. Just one ounce of chocolate that is 70% cacao solids has 63 mg of magnesium as well as other minerals including 25% of your daily copper and manganese. It has some of the same antioxidants as green tea making it a potential cancer fighter. Chocolate is also well known for being a mood booster and may even modulate your production of the stress hormone, cortisol. We all know that sugar goes really well with chocolate, but sugar causes many of the health problems we are trying to fight with chocolate. I like eating cocoa nibs and raw cacao beans. They taste much more like black coffee than the chocolate bars you might be used to, but they can help satisfy the chocolate craving in a healthy way. For a high antioxidant snack, try mixing the cacao nibs or beans with goji berries or other dried fruit. So join the healthy chocolate revolution and cacao your heart out. Don’t waste your time on worthless supplements. I have warned many of my patients away from the low quality supplements sold at some large discount retailers that I will not name here. A recent investigation in New York indicates that my warnings were right. They found that only 1 out of 5 herbal supplements from these store’s house brands really contained the herb named on the label. So, let me tell you how the supplement industry works. A vitamin company, whether high or low quality, buys their vitamins and herbs from a supplier and then blends and encapsulates those ingredients. One of the main differences between a good company and a poor one is where they get those raw materials. I am particularly concerned about the quality of herbal supplements, which were examined in the recent investigation. In addition to the possibility of the herbs being adulterated with random junky ingredients, it matters how the herbs are grown. An herb has to be grown under the right conditions and harvested at the proper time to ensure adequate potency. This is why I particularly want to get my herbal supplements from companies that really care about quality. 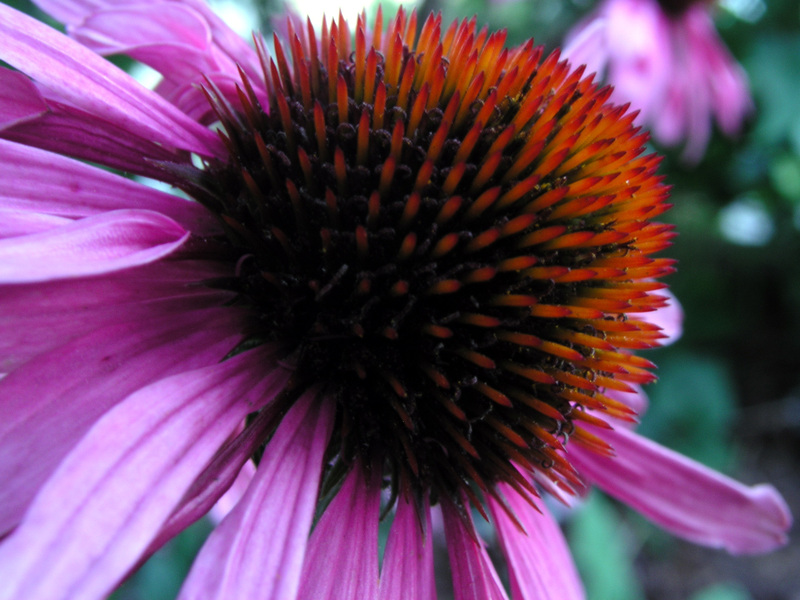 They often show this concern by testing each batch for the proper chemical markers and/or standardizing the herbal extract to contain a specified amount of the active ingredient. I particularly support companies like Gaia Herbs, which actually grows many of their herbs on their own farm in North Carolina. 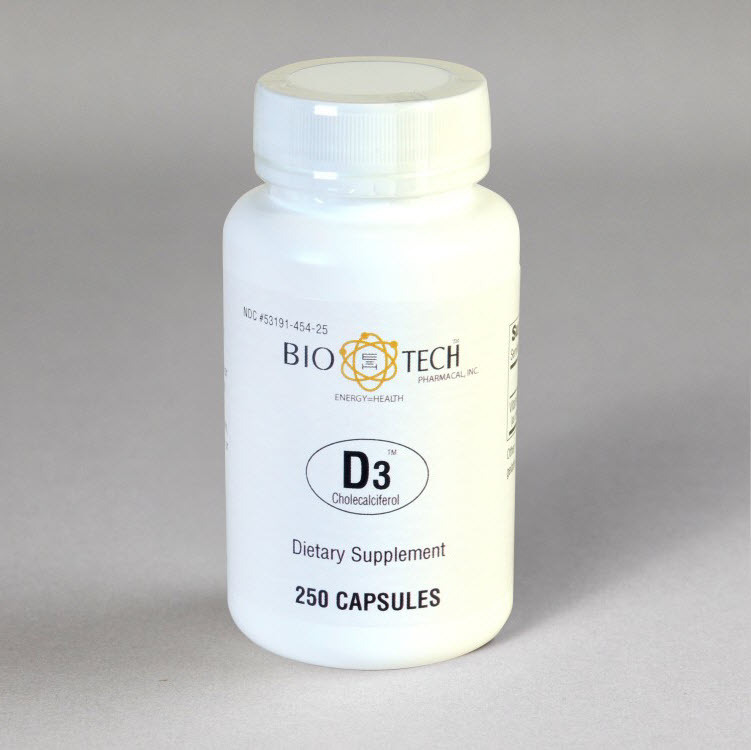 Another wonderful company specializing in vitamins is Biotech, located right here in Fayetteville, Arkansas. I have toured Biotech’s facilities and saw their commitment to quality at every step in their process. Biotech again consistently buys their ingredients from high quality suppliers. They do test every shipment they receive to make sure of the strength and purity, but they rarely have to reject a shipment because they are working with suppliers that care about the products as much as they do. Other supplements are of concern too. It is hard to mess up a basic vitamin C, but some companies don’t put the amount in capsules that the label claims. I have also encountered rancid fish and flax oil from some of the big box store brands. When oils go rancid, they can develop toxic compounds that damage our DNA and may even contribute to heart disease. If one of my patients brings in fish oil from one of these questionable brands, I actually bite into the capsule and taste the oil. A bitter or excessively fishy taste usually indicates it is rancid and should be tossed. One person that I had shared this advice with found her fish oil to be rancid and tried giving it to her dog. Her dog was too smart and refused to take it. She bought a high quality brand like Nordic Naturals, and her dog approved of that one. Not all supplement companies are alike. Some take steps to guarantee quality at every step of the manufacturing process and others are just trying to get the cheapest possible pill on the shelf. If you aren’t seeing the benefits you expect from your supplements, switch to a company that really cares.